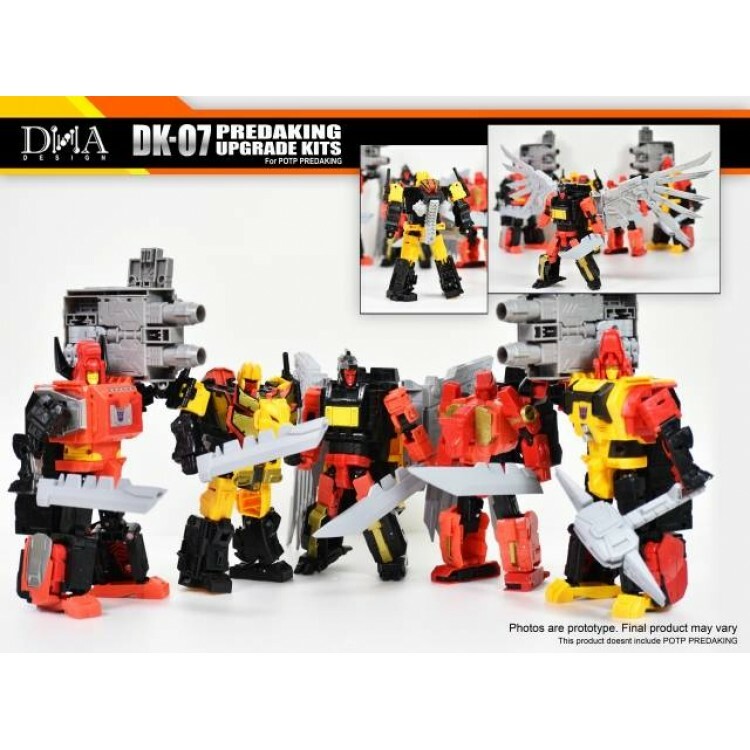 DNA Design - DK-07 - Predaking Upgrade kit by DNA Design is the ultimate add-on kit for Power of the Primes POTP Predaking Set! Features a new set of wings and hands for predaking, as well as the wing attachment parts to mount the new wings to the combined form of predaking as well as to attach to divebomb. 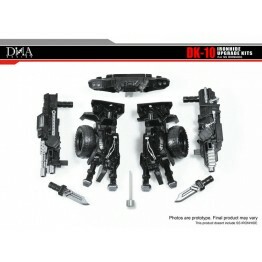 Also includes an additional set of weaponry for all 5 bots. 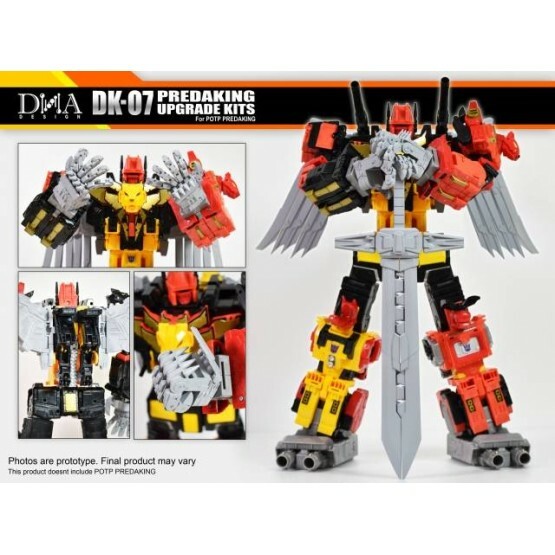 Best of all individual weaponry combines together to form Predaking Master Sword! Made of PVC, POM and ABS. 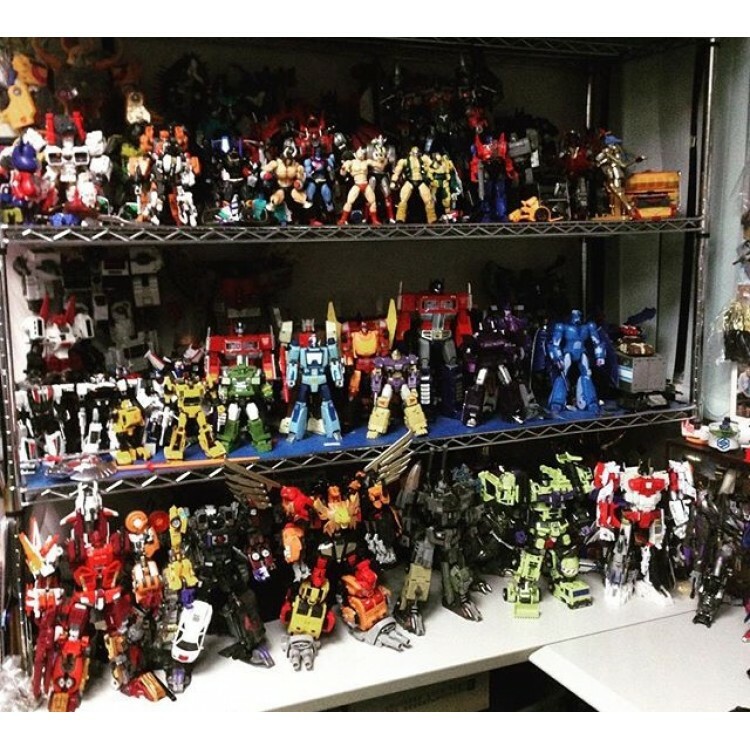 Predaking Figure sold separately.